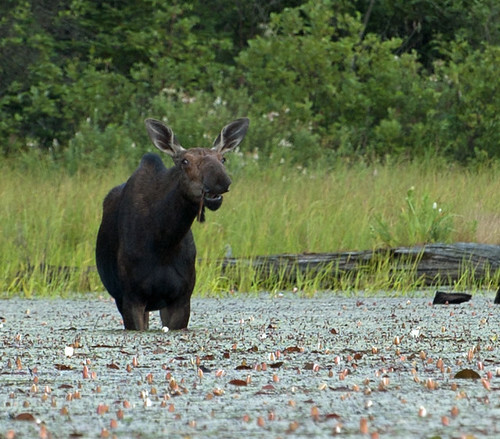 Found a great new place in Algonquin Park to get my annual “moose fix” – this time by canoe. 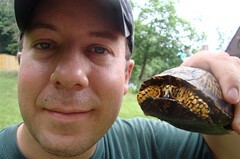 My husband and I took a two-day canoe trip to Hailstorm Creek, located on the western side of the North Arm of Opeongo Lake in the park. We did the 6-7 mile paddle from access point #11 (there are shuttles to the creek’s mouth available through various outfitters) the first day, then camped at a beautiful point near the creek. 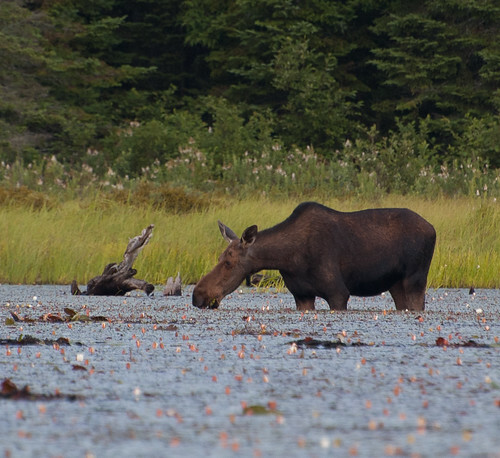 The next day we got an early start and headed up the river – didn’t go far when we got our first glimpse of this beautiful moose (I don’t think that is an oxymoron, though they can be gangly looking). My what big ears you have…. The moose was definitely aware of us and kept an eye on us. We enjoyed her from a distance. 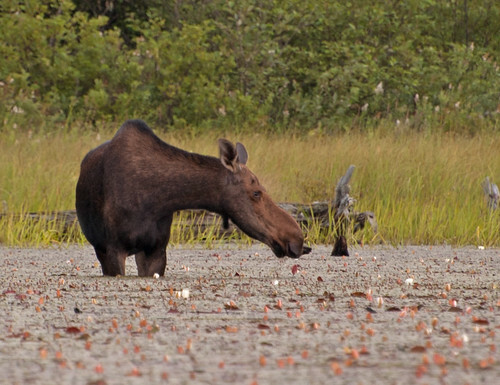 A quote about photographing moose that I keep in mind – “don’t think their nonchalance is indifference”. We really enjoyed our campsite. Most of the campsites we passed looked really nice (all primitive) and seemed spaced out nicely for privacy. 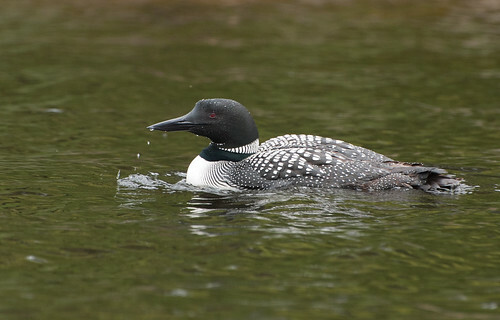 Common loons lived up to their name and we saw them throughout our trip and heard them throughout the evening and most of night. We also heard wolves howling in the distance during the night. 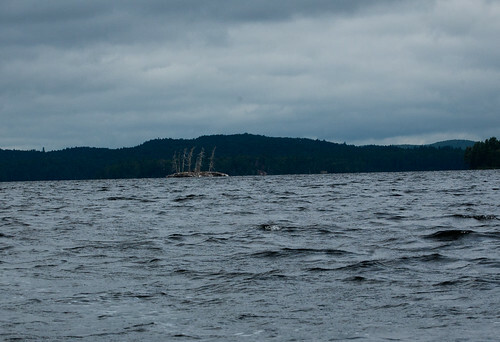 This shipwreck-looking landmark proved important for locating the bay where Hailstorm Creek was located. 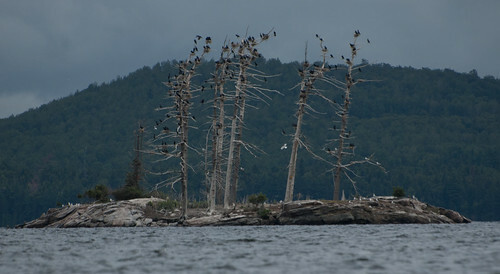 As we got closer, we saw that it was full of double-crested cormorants and their nests. This entry was posted on 8 August 2013 by patacoate. 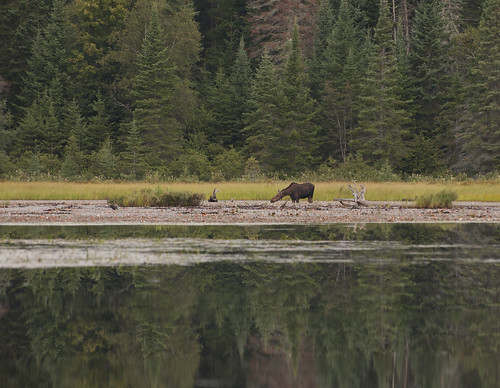 It was filed under iPhone and was tagged with algonquin park, Algonquin Provincial Park, Moose. Looks and sounds like a wonderful adventure. Whenever I see something like a moose, it’s a ‘time stands still’ moment for me. Thanks for sharing. You’ve sure been hanging out in some beautiful places lately. Is this to make up for having grown up in New Jersey? Amazing! I would love to get such great shots of moose. 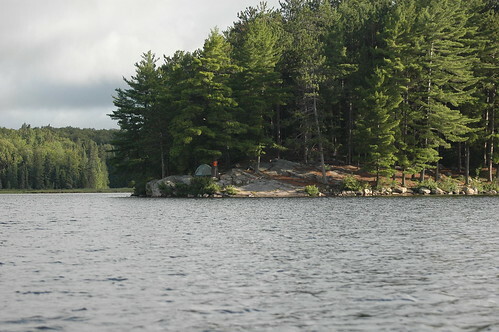 Oh to be out in a canoe in Algonquin. You lucky lady!